We’re well and truly into the Christmas knitting season now. December has started, so it is now officially acceptable to talk about the festive season. If you haven’t already started your knitting your Christmas gifts just yet, don’t panic. There are plenty of inspirational, recent knitting pattern releases from some of the greats. You may not have enough time to get started and finished on some now (bookmark for later!) 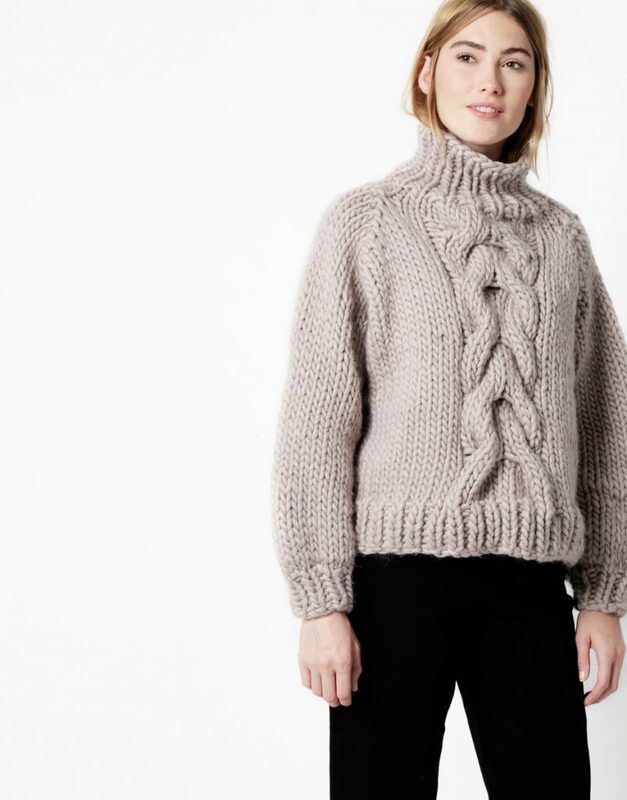 – but there are plenty of quick knits around. Giving you plenty of time to knit up a speedy Christmas gift. If quick knits are what you’re after, WATG are smack bang in the middle of their 12 days of making. Releasing ridiculously quick knitting and crochet patterns, as well as handy technique tutorials this week and next. Love the charging cable braid! Now this is what I meant by not having enough time before Christmas to knit up these beauties. But nevertheless, any of these sweaters and accessories would be a great cast on around Christmas time. Using Brooklyn Tweed’s new DK weight Arbor yarn, which knits up quicker and drapes heavier than the traditional Shelter and Loft yarns. Perfect Christmas knitting. Released a few days ago this is a hugely versatile pattern and a great one for beginner knitters to upskill themselves. And if you start now you’ll have it finished for Christmas, no problem. Handy if you’re struggling to think of gifts to buy your favourite knitting friends. Loveknitting.com have compiled a great list of gifts for all the different types of knitters you may know. I follow both of these super chunky knitwear brands avidly, and I’m so excited on this cheeky little colab. Again, probably not something you can finish off before Christmas. But what a great thing to have on your needles during the festive season. What is it about Autumn?